Christmas is a great time for getting people together, and one of the things many people love most about the holidays is the wealth of delicious foods they get to eat – and guilt free because it is Christmas! 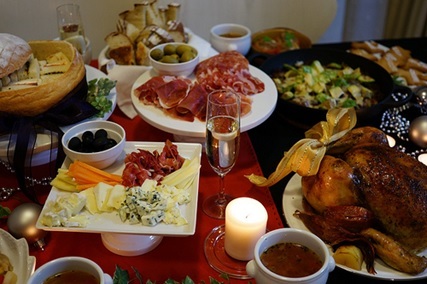 While there are plenty of great menus and catering ideas around for Christmas parties, often, people find themselves throwing impromptu drinks gatherings or other small social parties at very short notice during the festive season. Maybe you discover that some friends who moved to another city have come home for Christmas and you simply must have them over for some mulled wine and snacks, or you find yourself inviting everyone you know over for a get together on Boxing Day. If you find yourself suddenly the planned host of a semi spontaneous Christmas party, then don’t get stressed out. Because it is likely your home is already decorated for Christmas, putting up party decorations or making your house look festive shouldn’t be an issue. Music or games to play are also covered as these tend to be standard fare at Christmas time, so this really only leaves you with food and drinks to plan! You are likely to have a lot going on in the run up to Christmas, with presents to buy and wrap and the main meal for the big day to shop for and plan. This means you will want to spend as little of your time and energy as possible on your impromptu party, while still making it look to guests like no effort was spared! Generally, in this situation it is best not to cook, and to buy things that are delicious and festive, but pre-prepared and suitable to be served cold. The best snacks for a large group that fit these criteria are things like cheese sticks, vol au vents, cold meats such as salami and prosciutto, and crudites. You can mix expensive, gourmet items like luxury meats and delicious dips with things like chips, fresh vegetable slices and popcorn to give a large range of foods that seems extravagant but won’t break the bank. While at a normal party for drinks and snacks you may only consider savoury offerings, at Christmas everyone likes to feel like a big kid, so it can be a good idea to put out some festive candies, cookies and cakes to help people indulge. Again, it is best not to attempt to make your own during the pressure of the Christmas season, so look out for delicious Christmassy treats like gingerbread Santas, chocolates made in festive shapes, and Christmas cookies. Everyone is sure to love snacking on these as they socialise at your Christmas party, and if any kids do come along, they will be delighted that sweet treats are on offer! 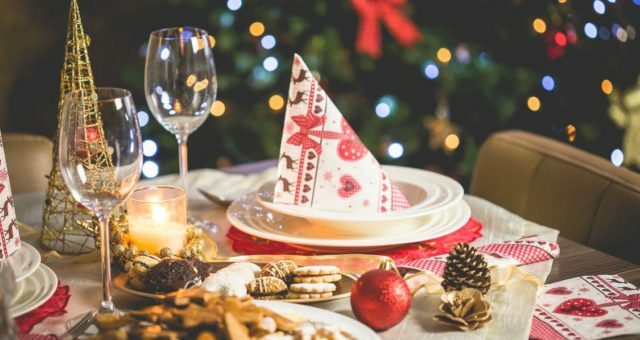 Organising a Christmas party at the last minute can be surprisingly easy if you don’t take on too much and use ready made snack foods and candies to keep your guests’ appetites satisfied!